**All coupons have a Food Lion Logo on them but are true MFQs. They DO NOT have the stipulation of “limit one per person, per transaction, per day”. Valid until 10/15/10. $1/1 Peter Pan Peanut Butter, 13-16.3oz. $3/10 Chef Boyardee Canned Pasta, 15oz., Microwaveable Cups, 7.5oz., & Microwaveable Bowls, 14.5oz. Interested in what deals you could reap at the Commissary using these coupons? Fellow military spouse over at It’s Raining Deals has the after coupon prices listed HERE. Please be sure to check your local Food Lion stores as the Summer Booklets are beginning to roll in. We obtained the booklet pictured above on yesterday. Additionally, scan your MVP card (b/n 5/26-7/6) and purchase any Kingsford Charcoal or Kingsford Match Light Charcoal or KC Masterpiece Barbecue Sauce Product to be automatically entered for a chance to win an opportunity to attend the Keith Urban VIP Ultimate Experience in Nashville, TN! 10 Lucky Fans & their guests will win a Backyard BBQ w/ Keith Urban to take place in October! 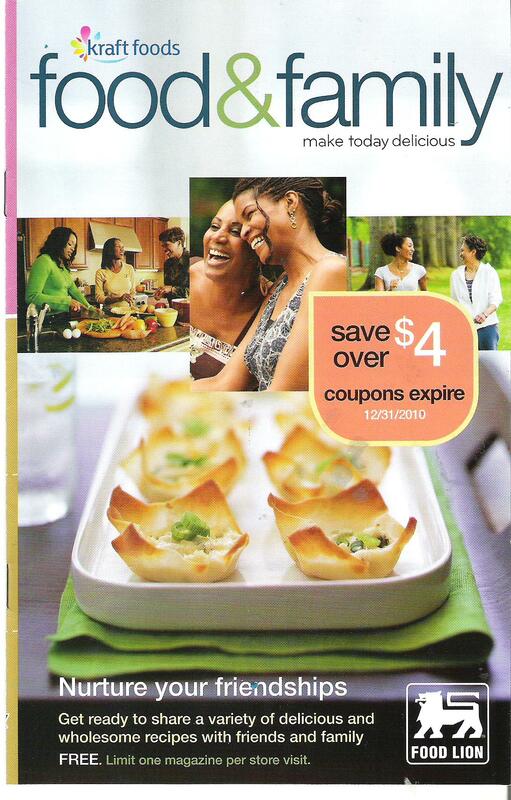 This booklet also contains recipes that looks quite delicious!